Whole Food Farmarcy - Get the whole foods your body needs. It's EASY and Affordable. 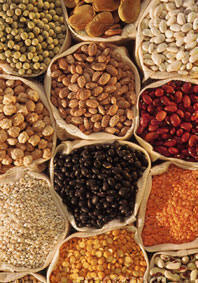 Health Benefits of Whole Food - See what your favorite food has to offer. 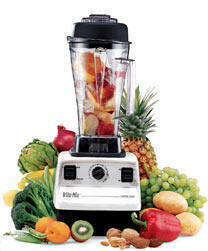 Whole Food Juicer/Blender - Vita-Mix is the choice of homeopaths for all your juicing needs. Genetically Modified Organisms (GMO) - the most dangerous technology ever known to man! It's simple. Whole foods are literally a natural, raw product of nature. Whole foods have not been altered chemically or genetically modified in any way. These include vegetables, grains, and meat that are grown without using chemical fertilizers or pesticides, hormones, antibiotics, grains that are not polished or processed in any way. Whole foods are free of all additives, coloring or anything else... especially GMOs. Whole foods are seasonal foods taken from as close to the source as possible and contain no preservatives and aren't frozen. The very best way to eat your whole food is fresh and raw. Note: Natural drying processes are safe and allow for most of the nutritional value to be retained in whole food for longer storing. 100% Organic: contains 100% certified organic ingredients. Typically a one-ingredient food, such as fruits and vegetables. Organic: contains 95% or more organic ingredients. Made with Organic ingredients: Must contain at least 70 % organic ingredients. Some Organic ingredients: less than 70% of the ingredients are organic. Natural Ingredients: Who the hell knows?! Note: Bottled water has NO regulations at all! As of October 21, 2002, any food sold as "organic" in the United States will have to meet criteria set by the U.S. Department of Agriculture. The National Organic Rule outlines reserves the terms "100 percent organic" and "organic" for foods produced without hormones, antibiotics, herbicides, insecticides, synthetic fertilizers, or germ-killing radiation. The term "organic" is applied broadly to non-organic foods produced without artificial additives, sweeteners, colorings, hormones, antibiotics or preservatives and only minimally processed. Unfortunately, the word "natural" may appear on the label of anything at all (not only foods) at the manufacturer's whim. 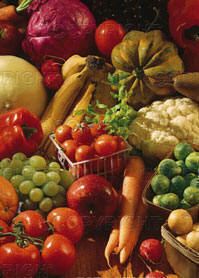 ...the FDA does NOT require "organic" food labels to state if your food has been Genetically Modified! Genetically Modified Organisms (GMOs) may be the Single Most Dangerous Threat Ever to Humans and Animals... EVER!!! And the FDA isn't telling you! This is scary stuff people! Nutritionists and homeopaths agree... 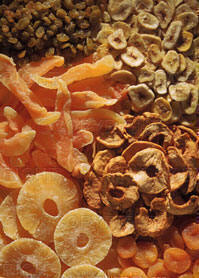 Whole food contains the highest content of nature's phytonutrients, enzymes, vitamins, minerals, and fiber. The healing power of simply eating a whole food diet has been proven in 100's of independent studies. The personal stories we've heard from people who used whole foods to cure cancer (among other aliments) are simply amazing. There are also 1000's studies that prove without a doubt that the poisons in our food (not whole food) are killing us faster and faster. 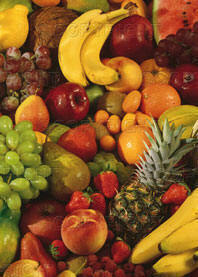 "A diet high in fruit reduces lung cancer risk by 40 percent.." EPIC study findings. (European Prospective Investigation into Cancer and Nutrition) Another study found "subjects with a high fruit intake had a 44 percent lower risk of lung cancer compared with subjects eating the least amount of fruit." "The thousands of vitamins, minerals and phyto-chemicals [beneficial plant compounds] in whole foods act synergistically together to create a more powerful effect than the sum of their parts, producing a result which cannot be recreated by supplements." Jeff Prince, VP for education at the American Institute for Cancer Research. The Environmental Protection Agency reports that the average American consumes 4 pounds of pesticides each year and has residues from over 400 toxic substances in his body. More than 3,000 chemical additives are found in the food we eat. "Antibiotic medicines are losing effectiveness on humans due to their increased use in animal feed.... Animals raised in 100% natural environments rarely require the use of antibiotics. Americans who choose meat produced this way are making conscious decisions to ensure that antibiotics will still be working when they or their family need them..... Beef and poultry are not currently required to bear labels that clearly explain the presence of or use of antibiotics in feed - even the U.S. Department of Agriculture (USDA) rules for meat labeled "natural" do not require all antibiotics be eliminated. " Margaret Mellon, Ph.D, JD, director of the food and environment program for the Union of Concerned Scientists. "Men who ate 10 servings of tomato products weekly reduced their risk of prostate cancer by 35 percent compared with men who ate fewer than 1.5 servings...." Harvard Health Professional study. While the benefit is largely attributed to the phytochemical lycopene, trials of lycopene (isolated) so far have found it is less potent than the tomato. "A diet high in fruits and vegetables reduced stroke risk by 28 percent, and fruit alone reduced the risk by 40 percent..." American Journal of Clinical Nutrition in 2003. "Pharmaceutical Rice Crop Fails to Win Approval," Forces opposing genetically modified organisms were victorious when the Agriculture Department and the State of California denied Ventia Bioscience permission to grow 120 crops of commercial rice containing genetically engineered pharmaceutical drugs. "Having a powerful immune system in place at all times is one of the best cancer defenses you can have," Mitchell Gaynor, MD, medical oncology director at Strang Cancer Prevention Center in New York City. "A 13-year study of nearly 30,000 women found that those who followed six or more guidelines from the American Institute for Cancer Research (AICR) ran a 35 percent lower risk of cancer than women who met one or none... "
These statistics go on and on and on... you get the point. Whole food is the ONLY food that provides maximum nutrition for you and your family, and is 100% without adverse affect to health. So starting eating whole foods, and live a happier, longer life! We've made it a lot easier for you to start eating a healthy whole diet right away, no matter how busy your lifestyle or daily routine has become! For those of you who simply can't get to a whole food grocery store for all your family's food supply, we have 2 great ways to immediately introduce whole into your daily lives. Whole food... the ONLY food worth eating. 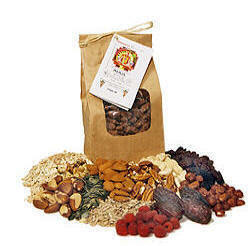 This great company makes it easy for everyone to get premium whole food mixtures a wholesale prices. Click the picture to learn more about the Wholefood Farmacy.